Your toddler studies an object, her face focused and intent. "Cup!" she declares. You squeal in delight, then grab your phone to spread the news. Of course you keep a mental tally as your little one masters new words. But what about your dog's vocabulary? You know he's got the basics: sit, walk, ball; but research shows he may have stored away more words than you think. According to Dr. Stanley Coren, an expert in canine intelligence, the average dog can understand about 165 words, possibly more with training. Consistency is key, says Coren. If you call his meal "supper" but your spouse calls it "dinner," the label for his nightly kibble might be fuzzy. But if everyone says "dinner," he'll soon perk up anytime you're discussing dinner plans. Interest in canine intelligence spiked in 2001, when Rico, a border collie, appeared on a German TV game show and showed he could recognize 200 different words. In later studies at the Max Planck Institute for Evolutionary Anthropology, Rico proved he could use process of elimination to figure out unfamiliar words, and he could remember new words even after a month of not hearing them. Rico held the record until Chaser, another border collie, displayed knowledge of a whopping 1,022 words. Chaser's owner, John W. Pilley, is a psychologist at Wofford College in Spartanburg, South Carolina. 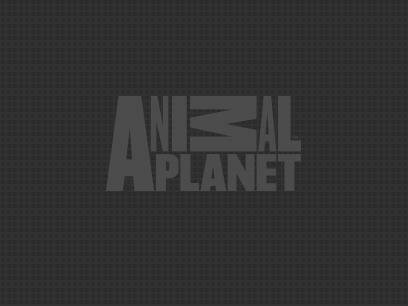 Pilley began training Chaser in 2004, teaching her the names of up to two toys each day. Over a three-year period, Chaser built immense vocabulary skills, while sporting a hefty toy collection. 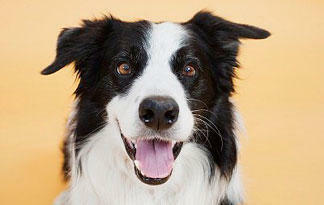 Chaser's feats were published in a study in the Behavioural Processes Journal in February 2011. On the next page, get a closer look at how dogs learn and the ways they attach meaning to our words. What do dogs hear and understand? 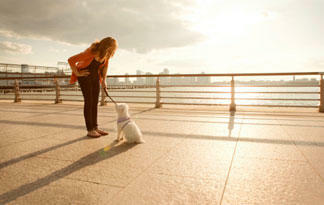 Dogs best understand words they can link to objects or behaviors -- like sit, walk or car -- rather than abstract concepts. You'll pique your dog's interest more by saying "treat!" than "I love you!" Sure, he may wag at the gushy tone you use with endearments, but he knows a concrete result will follow "treat." When you named your dog, you probably heard that pooches respond better to hard sounds (T, R), rather than soft consonants (S, F) or vowels, and they prefer short, simple words. This applies throughout canine vocabulary: choosing "walk" over "exercise" will help him learn the term for his daily outing. Dogs also have an easier time learning if you talk to them in single words, says Dr. Pamela Reid, a certified applied animal behaviorist with the ASPCA in New York, NY. In some cases, dogs may not even listen to the entire word that you speak. "They're probably listening to the first syllable, or first letter, of each word," Reid adds. Body language is a big clue dogs use to decipher human communications. Just like people, every dog learns at his own rate. Despite their bad rap for being un-teachable, adult dogs can learn new words, just not as quickly as youngsters. And genetics also plays a part; both Chaser and Rico were border collies, a working breed with a long history of intelligence used for carrying out owner's sheep herding commands. Poodles, German shepherds, golden retrievers and dobermans are also smarties. But having a naturally brainy dog is just a bonus. With patience, love and consistency, any dog can earn a gold star in vocabulary. Just don't forget the treats.